Online reservations are now open! 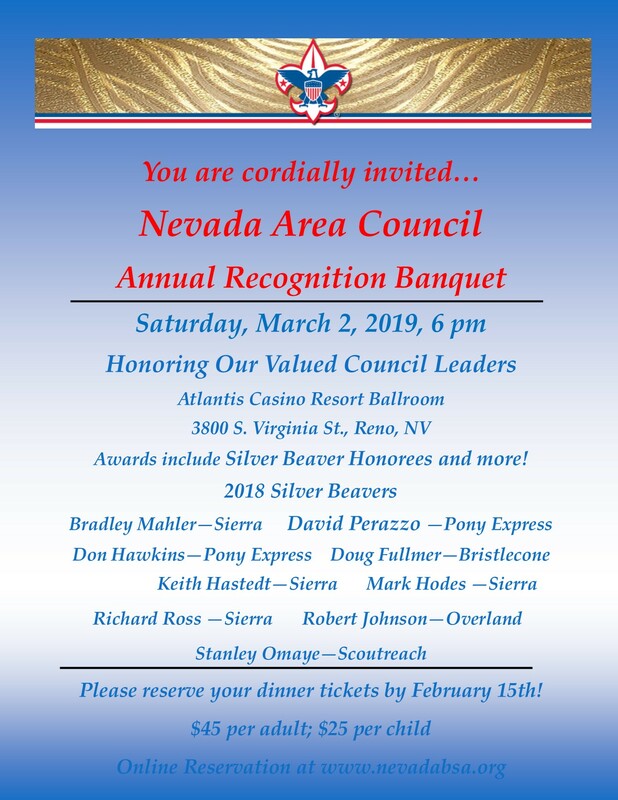 Please reserve your place to honor Scouters for their time and effort throughout the year. Requests for refunds need to be sent in writing to info@nevadabsa.org no later than 30 days before the event. Thank you.